Very unclear, blurry photo. Also damaged. The Carlton Football Club monogram, so Carlton (VFL) presumably. No players recognised. Grandstand not recognised. Probably Carlton Thirds, circa late forties-early fifties. 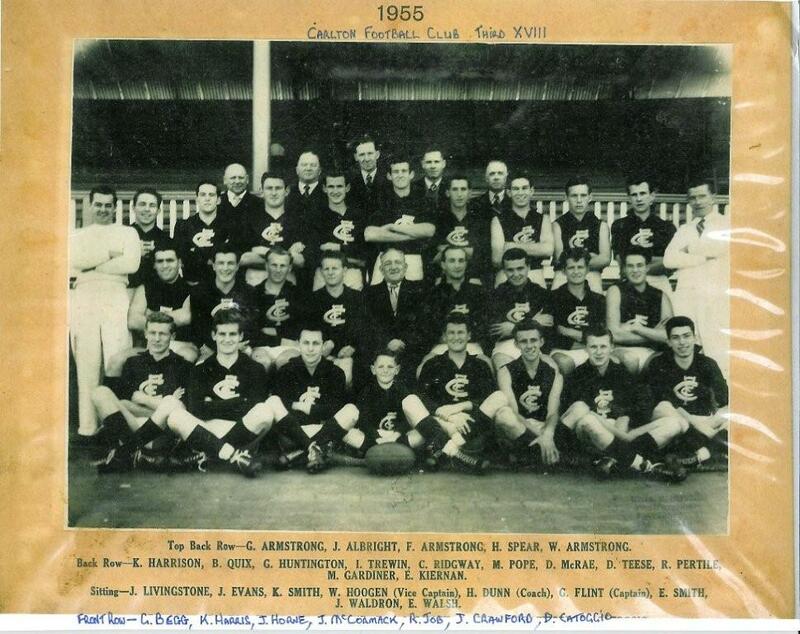 One or two officials also appear to be Carlton Thirds 1963c (SLV 122_134). A Bill Hoogan was later 2nds Coach in 1967. NSM Collection contains a number of versions of this photos, including the original negative and others that are photos of the photo. SLV Catalogue indicates that this is a glass plate negative.